At London Gold we know that our customers want to be an integral part of the process of selling their gold. During the gold evaluation, you meet with a friendly and knowledgeable representative who will show you the step-by-step process. We weigh and test the items in front of you so that you can see everything that is happening. We are proud that our process is completely transparent and honest. No appointment is necessary, so just drop by anytime during our regular hours and we will pay you top dollar for your gold or silver. When you arrive, we will test and weigh your gold in front of you and pay on the spot for your gold! All you need to bring is a valid government-issued ID (one with your photo) and the precious metals you want to sell! By law, you must show proper government issued identification: Driver’s License, Passport, Indian Status Certificate, or Residence Card. Stolen merchandise will never be considered. We will notify the police if we are aware that you attempt to sell stolen goods. What Items Do We Buy? At London Gold, we recognize that Gold is the most valuable and sought after precious metal in the world. At London Gold we test your items so you feel comfortable with the content and purity, so that you can make an informed decision on whether to sell your pieces. Gold is usually alloyed with other metals such as silver, copper, platinum or nickel to make it harder. Gold alloys are measured by karats. A karat is a unit equal to 1/24 part of pure gold in an alloy. In other words, 24 karat gold is pure gold, while 18 karat gold is 18 parts gold to 6 parts other metal. The first thing we do is sort out items that are clearly not gold or silver. To do this we use a very strong Earth Magnet. The reason we use this is because gold and silver are not magnetic. This helps us quickly sort out some imposters. However, there are many non-valuable metals that are also non-magnetic, so this test is by no means the end. The second step in sorting involves checking for stamps. Many stamps are visible to the naked eye but a number are stamped on the tiny posts of earrings or are too worn down to make out. In this case we use a jeweler’s loop which gives 10x magnification. Stamps tell you what the item is sold as and is a fairly reliable way of identifying the gold purity. However, it is not rare to find an item stamped as one purity that is not even gold! There are several steps and processes to determine the value of gold and the purity. Some testing is fairly simple and can be done in the comforts of your own home, while others use acids and complex equipment. We’ve taken the time to briefly outline and describe some of the steps taken to test gold and silver. Hold a magnet near the item. If the magnet attracts the gold piece, then there are other metals mixed in the gold and it is not pure. Acid testing is a common practice when testing gold. Place a small drop of hydrochloric or sulfuric acid on the item. If the gold begins to dissolve, then there is some other type of metal mixed with the gold. Having the ability to test the purity is crucial for anyone involved in buying or selling gold or silver. A jewelry item that is stamped 10k, 14k or 18k does not necessarily mean it contains that type of gold. Fakes do exist in the gold market. Occasionally a lower quality of gold may be stamped with a higher grade marking, or other times it may not be gold at all, but rather layered with gold in such a way that it is not immediately apparent that it is plated. At London Gold, our testing is explained and verified to each and every client and customer. Scratch the item on a smooth black acid testing stone. Next to item’s mark, items that are confirmed to be 10k, 12, 14, are scratched as well. A small drop of acid is placed on the stone along the scratch marks. If the item is the same karat or higher, the color of the scratch mark for the item will appear the same as the mark from the confirmed piece. 18K acid can be applied to the scratch on the stone. Any gold that is less than 18K will disappear in less than 30 seconds. Gold that remains on the stone is 18K or higher. Once all the items have been sorted by karat, we begin weighing the items on a scale. The scale is calibrated ask to have it recalibrated if you like. Our scale will show you the true weight of your items in grams. Typically we weigh all items identified at a particular karat together but can also weigh individual items for you. If items have stones or inserts we will subtract the estimated weight of those stones. We assess the rough size and number of stones in the items and subtract this weight from our estimate. 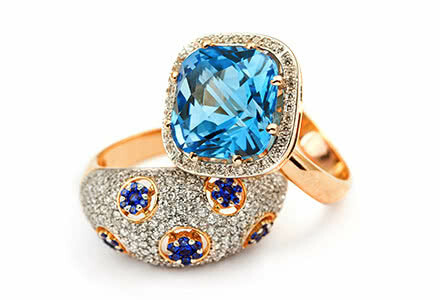 If your diamonds or gemstones are large enough to have significant resale value , we will pay for these stones as well! 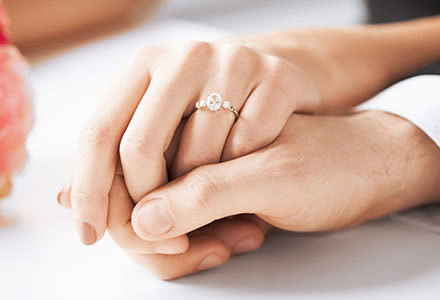 Please click here to read about our diamond buying services. Our prices are based on the current market price of gold and silver. Your payout is based on the purity (karat) and the weight of your items. We will provide our estimates to you and you will select which items you would like to sell. There is no commitment on your part. Some large items may not be solid gold or silver. These items are tricky as they can be thickly plated, filled with weights or something of the like. A final test before payment may be required by the buyer to confirm the item is not fraudulent. This can involve cutting the piece and damaging the piece beyond repair. We will ask you before these types of tests. Essentially we have agreed to pay the quoted price if the item is not fraudulent. If you do not wish to have the test performed on your item, we will be happy to return it to you, but will not be able to purchase the item. Do You Pay Extra for Appraised Jewelry? 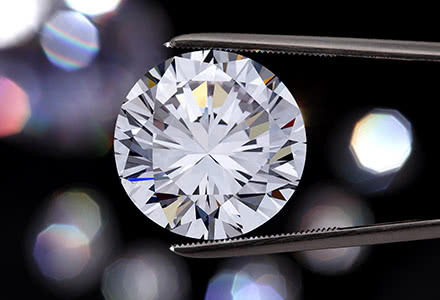 Most appraisals are formulated for insurance valuations, all of our purchase prices are based on current prices of gold, silver, platinum and diamonds at a wholesale level. Your appraisal is helpful in evaluating the jewelry and special consideration is given for unique and classic piece for estate resale. Drop in a London Gold store today for your free, no-obligation assessment. We are fully licensed precious metal buyers, A+ Rated on the Better Business Bureau, have 35+ years in the valley. We also specialize as a jewelry buyer for silver, Rolex watches and diamonds. We purchase diamonds certified by the Gemological Institute of America (GIA), the American Gem Society (AGS) and the European Gemological Laboratory (EGL). We also buy diamonds over one carat that were perhaps inherited, and are not certified. London Gold also purchases diamond stud earrings, diamond pendants, diamond necklaces, and all diamond jewelry. 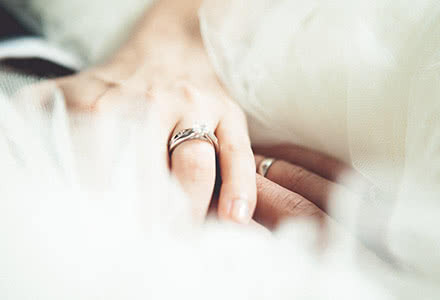 At London Gold, we know that selling old diamonds can be a very private and emotional experience. Whatever your reason may be for selling your old diamonds, London Gold respects your privacy and offers the highest level of professionalism. It doesn't matter if your jewels are vintage, antiques, contemporary, diamond, gold, precious gems, we're always prepared to give you the best deals. For estate jewelry buyers in the Phoenix metro area who will give you the best return on your most treasured objects, you can put your trust in London Gold. Georgian Jewelry, Edwardian Pieces, Antique Jewelry, Victorian, Tiffany, Boucheron, Coco Chanel, Chaumet, David Webb, Verdura, Bulgari Pieces, Platinum Jewelry, Gold, Estate, Mauboussin, Signed pieces, Blackamoor, Buccellati, Seaman Schepps, Winston, Art Deco, Cartier, and more. Don't let the jewelry given to you years ago clutter up your room anymore, when you can exchange them for cash. Fine estate jewelry and watches are refurbished so your treasures can be passed on. 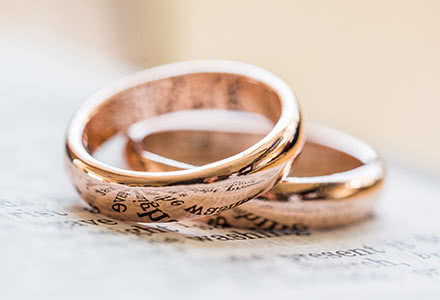 Whatever your reason for wanting to sell your old jewelry London Gold respects your privacy and offers the highest level of professional, friendly and courteous service. If you have questions about the value of your jewelry, diamonds, or watches please don't hesitate to ask. The more you learn about your jewelry, the better for both of us. Because the more you know as a seller, the easier it is to recognize us as the most knowledgeable buyer in the business.